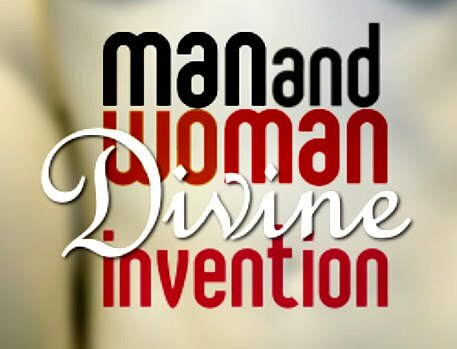 Male and Female, G-d created them. One basic principle from the Bible that guides our lives, sometimes come from many different sources. Each source has a specific particular elucidation. The following is one of the basic teachings that may sound unfashionable, yet it still works perfectly, balancing the ying and the yang, that makes the male and female different from each other. At the time of the giving of the Ten Commandments, Moses was instructed, “so should you speak to the house of Jacob (referring to the women) and tell to the house of Israel (referring to the men).” The question is asked, why where the women given priority? A simple explanation, is because the future of any people is primarily in the hands of a mother. The greatest influence in molding any child, and the atmosphere of any home, is in the hands of the woman. Another more mystical explanation, is that when G-d told only Adam, not to eat from the forbidden fruit and left out Eve, it brought to terrible results, therefore this time, G-d said, I better get the woman involved first, so I don’t repeat the same blunder. A man and woman represent two essential energies and fundamentals. The male represents the force and energy of giving, initiating the energy. The woman represents the authority in absorbing, evolving and developing this energy and potential. The power of force, its endurance and staying power is not infinite and will fizzle out, accomplishing nothing worthwhile unless it connects with a receiver, and the opportunity to be nurtured and evolve within a receiving energy. Therefore, the first commandment that was charged to a man without a woman, could ultimately not accomplish anything constructive. In the books of our sages they draw a simple metaphor from the baking of bread. The man goes out to the field to plow the ground, to plant the seeds, and then transfer over to the woman the wheat which she will grind to flour and makes it edible for people in her house and for the world. The purpose of the Ten Commandments is to connect the G-dly and the spiritual with the down to earth world we live in. That is why G-d gave Ten Commandments, on two tablets. The first five are directives between man and G-d, and the second pair of five, deal with one person and the other. In total, being G-dly must lead to being ethical and moral in this physical world. As mentioned before, the power of a woman, represents this special quality of bringing it all down to this world. These two aspects of male and female – giver and recipient, exist in the small world of each individual. The soul is considered the giver, since life is set in motion first from the soul, and the body is the receiver. The ultimate goal is that the soul imbues its energy into the body, so the body can accomplish in a physical sense of spiritual accomplishments. Feeling spiritual and inspired on its own, and if it remains ethereal, and other worldly is practically worthless. It’s only when one connects the inspiration and draws it down with an actual deed of the body, an act of kindness in this world, that he has produced the results that accomplish the reason he was put here on this physical planet, to make this world a dwelling place for G-dliness, a connection of body and soul, and the male and female energies are activated to interact with each other. A Thief & his Faith. Moses is commanded by G-d to “come” to Pharaoh and request the freedom of the Israelites. Why does the bible use this unusual language of “come” to Pharaoh? It would have made more sense to say “go” to Pharaoh? In every generation and in everyone’s life, there is a Pharaoh who represents the Master of Slavery, the antithesis to the nature of a soul, which is freedom at all times. Slavery comes in the form of addictions and being trapped to unproductive habits and routines. Many times, a person feels ensnared and overwhelmed by the magnitude of having to challenge and face up to this pharaoh in his life. Therefore, G-d says, you are not “going” on your own, you are “coming” with me. This is why the bible continues on, “for I have hardened his (pharaohs) heart”. The difficulties we encounter in life are not something that happens by itself outside the providence of G-d. Everything we come across in life is there because that’s what G-d has placed in our path, and we are with Him all the time. Since it is G-d who is the source of all, G-d who is all knowing placed those challenges in our path. He knows we have the strength to overcome and address the hardships and difficulties together with his G-dly given strength. Faith is a very interesting faculty of the soul. Just like we can think logically, speak and listen, we also have a gift and ability to have faith, to believe and have trust in the creator who put us here in this world and placed us on a mission. The Talmud says, a thief prays to G-d that he should be successful. Now, if he really believes in an all seeing and all powerful G-d, how can he slap this G-d in the face by asking him for help against his own wishes?? The answer is, that faith, is not internalized on its own. We can believe, and many times it does not influence or impact our behavior and actions, and we actually act in ways that are counter to our very own very real, faith. In the holy book the Tanya the author writes, “Everything is absolutely good, it is just not understood, and with this faith truly, everything becomes good in an open way”. The author is saying the following. Since faith can sometimes be detached from reality, if a person truly believes everything is good, even in the midst of what appears as obstacles and great hardships, and this shows on his stress level and the way he is behaving: calm, composed, tranquil, or angry, and anxious. Then if he really has this faith that everything is actually good, this faith has the power to transform, adjust the conditions of the situation, and make it the positive experience it really is meant to be. This kind of faith is possible in everyone, by being nurtured and fed on a constant basis. No one expects to run a marathon because they just decided to do so, and no one can lift two or three times their weight because they decided. But, if a person puts his mind to it the potential is there, if it’s important enough. Faith is the cornerstone and foundation for a solid life. If you put in the effort, you are guaranteed the kind of faith that not only weathers any and all kinds of hardships, but even further, your faith can and will change circumstances so the negative disappears and only the good is enjoyed. When Abraham in the bible, instructed his servant Eliezer, to find a wife for his son Isaac, Abraham made Eliezer swear, by holding a holy object, that he would carry through with the mission of finding a wife for his son according to the guidelines stipulated. This is the source from the bible for the law, that a person must hold a holy object when making an oath, similar to a holy Torah, written on parchment. However according to the law, this type of oath is only made when a person admits partially to a claim but not when he denies the claim entirely. The legal reason for this rule is the following. When someone denies the entire claim, he is either telling the truth or he is so brazen that making an oath will not help prove anything. Either way, there is no need or benefit from making an oath. While someone who admits partially, demonstrates a degree of conscientiousness and accountability, therefore we say an oath will certainly help push this kind of person to the absolute truth if needed. All laws have a spiritual equivalent within the life and soul of each individual. G-d loans and provides every human being with a living soul, with which the person is able to do and to accomplish all that he does while he is alive. Every person is indebted and obliged to G-d and has the responsibility to not only return the soul as granted, clean and pure, he is also expected to use this potential for achieving and accomplishing, in an appropriate G-dly way. Sometimes it can happen, that a person admits only partially to this fact of truth. He recognizes, that G-d is the ultimate supreme ruler from which everything emanates, and that G-d grants all that he has, but he is only doing this partially. He doesn’t admit, that ALL is from G-d and therefore in ALL areas of life G-d must be considered. It may seem to a person that in certain areas of his life, what he has and what he is, is really the results of his prowess and wisdom. 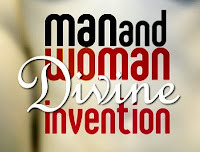 A “self made” man or woman, and it is he – or she, who takes the credit or even the blame for the results and therefore in those areas, G-d is out of the picture. Sure, he prays and does whatever he can to be G-dly. But he says to himself, c’mon, we need to be a little “realistic”, if not for me, it would never happen. We’re not talking about someone who denies G-d entirely. Most people recognize, and are aware, that they could never do it all on their own. Just like a person does not bring himself into being. There has to be a source for the world, which created and brought this universe into being. The world did not and can not possibly bring itself into being. So what’s the advice we recommend for the partial denier; an oath. In Hebrew the word for oath literally can also mean, to supply and to indulge. Just like a satisfied and gratified person has more, the idea of an oath spiritually is to push the person over the top and grant him with just a little bit more strength, to help him recognize, that even in the small details, ALL is from G-d, which forces him to feel the full indebtedness he owes and must pay to G-d.
Just like when making an oath, the strength to acknowledge the truth, comes from the requirement to hold a Holy object, the same is also spiritually. The only way a person will fully admit and recognize the credit to his existence as being ALL to G-ds credit, is by holding on to holy thoughts, study and G-dly practices whenever possible. The steady attachment and connection to G-dly input keeps the person in check. An eclipse and bad vibes. The Talmud teaches, that an eclipse of the luminaries is a bad sign for the world and it is related to the wrong choices people do. The very obvious question is, an eclipse is predetermined and a natural phenomenon. It is known way in advance, when exactly it will take place. How can the Talmud suggest that it is related to people’s behavior? On another related note. Maimonides writes, that it is impossible to say, that a person should be born with a predisposition that "forces" him to act morally, in one way or the other. If that were the case, the entire premise for the Bible, free choice, reward and punishment, would not be possible. Maimonides concludes by saying. We are all not born equally neutral. For some it is easier to do good, but they always can freely choose the opposite. And for some, they may have a tendency to weakness, which only means they must have greater strength in them to over come temptation. In either case, free choice is always there. We see a similar concept regarding time. The Talmud says, on Mondays and Wednesdays we should not for one thing, move into a new home, because those days are difficult days to succeed with blessings. (more on this later on. However if the person must do an act of G-dliness i.e. perform a commandment in the Bible, he must not worry about this issue.) If someone was born during the sixth hour of the day, he may have certain murderous tendencies and he should therefore channel that energy by being a slaughterer etc. We see from the above, that in nature, since nothing is perfect, whether it’s related to time or too people, there are all different kinds of people and many characteristics to time. Only G-d is perfect and infinite. Only G-d has all the good and none of the shortcomings and inadequacies of physical existence. In nature however, whether it’s people or in time, everything in the world, has its strong points and its’ weak points. 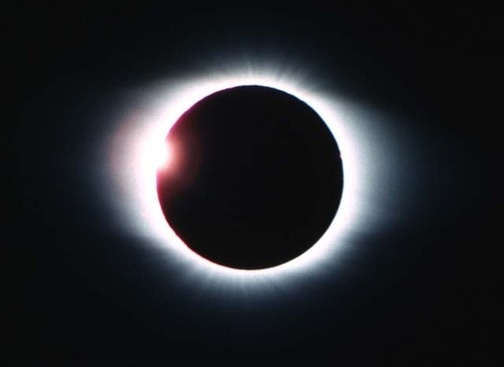 We can now better understand what the Talmud is saying regarding an eclipse. Everything in this physical world is the result of an underlying spiritual energy and current. We all know, when you look at a person, what you don’t see, is more than what you do see, and what you do see, is the results of what you don’t see. And this is what the Talmud is saying. Just like there are variations and diversity in people, and differences in objects, so also there are differences in time. And because certain times are more prone to certain negative goings-on and activity, this expresses itself on the surface of the world as we look at things, in the eclipse of the great luminaries. When the light of either the sun or the moon is eclipsed, this is because those moments which are known in advance, are times to be more watchful and cautious of the way we act since they are more susceptible to evils and harms. However just like with people, the fact that they are more prone to certain tendencies, doesn’t release them from their responsibilities and free choice, the same is also true regarding the time of an eclipse or any other day that is marked with some weaknesses. Here is a way to triumph and prevail over these influences and built in weaknesses, which is part of nature, and that is, when a person connects to G-dliness. Since G-d is the one who creates nature with all its limiting characteristics, when one attaches in faith and in deed with the Boss, this puts us above the influence and limitations that are very real and very much a part of nature.